Chase Bryant performs Friday, July 3. Joey Hyde performs Saturday, July 4. POINT PLEASANT —Two up-and-coming country acts will be headlining this year’s Point Pleasant Sternwheel Regatta which is fast approaching July 2-4. This year’s headliners are Chase Bryant performing Friday, July 3, and Joey Hyde performing Saturday, July 4. Bryant’s first single, “Take It On Back” was a top 10 hit and his second single, “Little Bit of You” was recently released. He’s currently performing on Tim McGraw’s Shotgun Rider Tour – McGraw, of course, played the regatta just as his career was exploding back in the 1990’s. Last month, Bryant was named one of “10 New Country Artists You Need to Know” by Rolling Stone Magazine. Bryant’s grandfather also played piano for Walyon Jennings, Roy Orbison and Buddy Holly. His uncles were in the country band Ricochet. The 22-year old Texan takes the stage for the free concert starting at 9 p.m., July 3 at Riverfront Park. 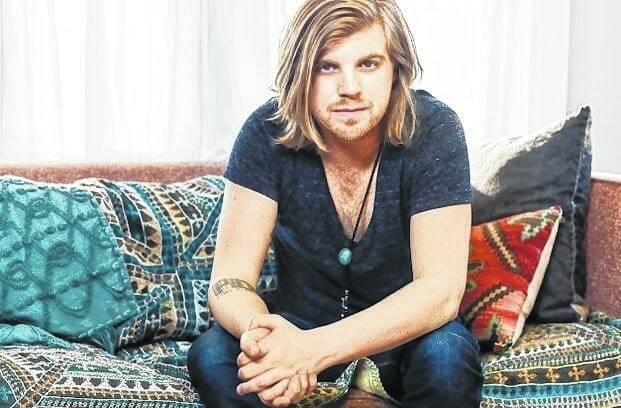 Hyde, who co-wrote the Swon Brother’s hit song, “Later On,” previously released the single “Get It On.” The Michigan native takes the stage for his free concert at 8:30 p.m., July 4 at Riverfront Park. This is the 25th year for the popular festival known for welcoming some major country acts to the stage as well as showcasing local talent. Local talent performing at the regatta will include the following: The Dub-V’s will perform at 7 p.m., Friday, July 3. Two River Junction takes the Regatta stage at 8 p.m., Thursday, July 2.